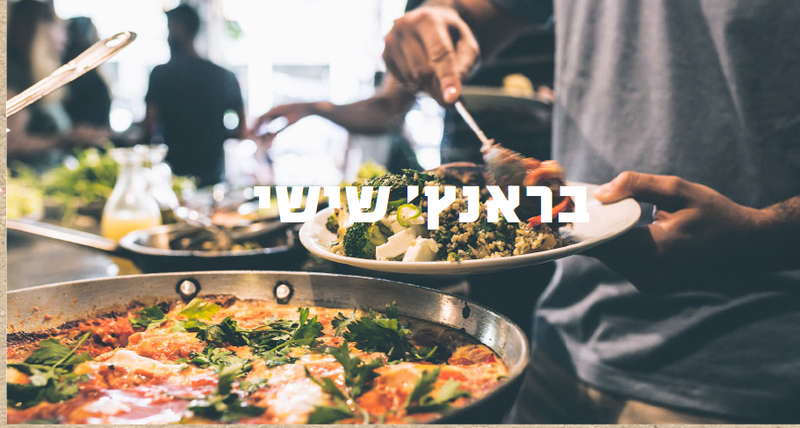 After my recent trip to Tel Aviv, I wanted to share few of my favorite food spot with you all, it is not easy to pick out of the hundreds of amazing eateries and food shops but here are some highlights. Some are more expensive than others but they all have something special to offer and really good local food by local chefs. The garden is the back is super cute and you get to choose your meat from a large perfectly order cooler. 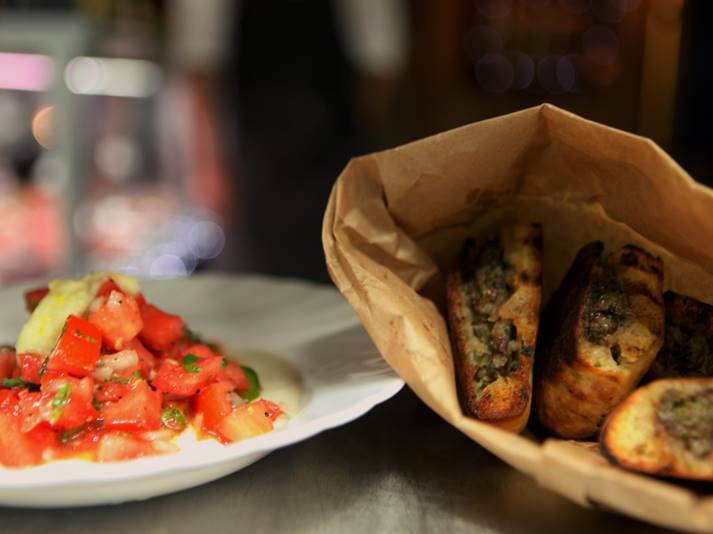 My favorite dish is the Arais (grilled lamb stuffed pita) served along side heirloom tomatoes salad over tahini and herbs. Which mean the tahini place, is an Israeli tavern of the sort, each dish incorporate some type of tahini sauce in a variety of texture, flavors, and colors, dishes are tapas style meant for sharing, the atmosphere is happy, music is upbeat and mostly Israeli and Greek songs. Get a bottle of ouzu and grab a seat on the extra large wrapped around the bar, you’ll be able to watch the team make your dishes. 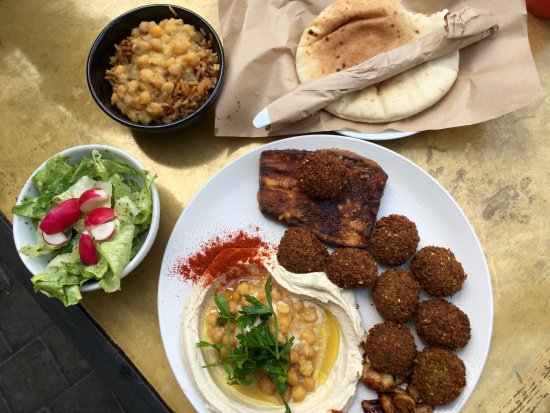 You’ll swear by tahini after a visit. 33 Levinsky street, Tel Aviv. Mashya’s is the best example of Israeli nouveau cuisine at its best. chef Yossi Shitrit intertwine with all the advantages of a sophisticated kitchen and cutting-edge cooking techniques, alongside the freshest possible ingredients straight from the fishing wharves and bustling markets of Tel Aviv. It is the most expensive restaurant n the list but it is definitely worth this culinary journey. Delicious toppings and many other dishes for you to try, shawarma or the Iraqi breakfast sandwich is known as sabich, as well as Moroccan style white fish in tangy tomatoes sauce served with personal freshly baked challah bread. If the line is too long, you'll be treated to fresh hot balls of falafel while waiting for your turn. Ha’achim restaurant (“the brothers”), is very much known for the Friday and Saturday brunch buffet, with endless rows of traditional local salads, cheeses, homemade jams, fresh-­from-­the-­oven roasted local vegetables, and bread, as well as my personal favorite shakshuka. about $25 per person, in my opinion, it’s a steal. CR-eate is a design studio effectively balancing concept, design, art and function for brands & interior spaces.